My Furry Friends Pet Grooming & Self Serve Pet Wash - About Us....Our Groomers Lisa graduated from The Baltimore School of Dog Grooming in May of 1984. She has groomed for Veterinarians and has also been a Mobile Groomer. In October of 1987 Lisa opened her own Grooming Salon. She has been grooming for 33 years. 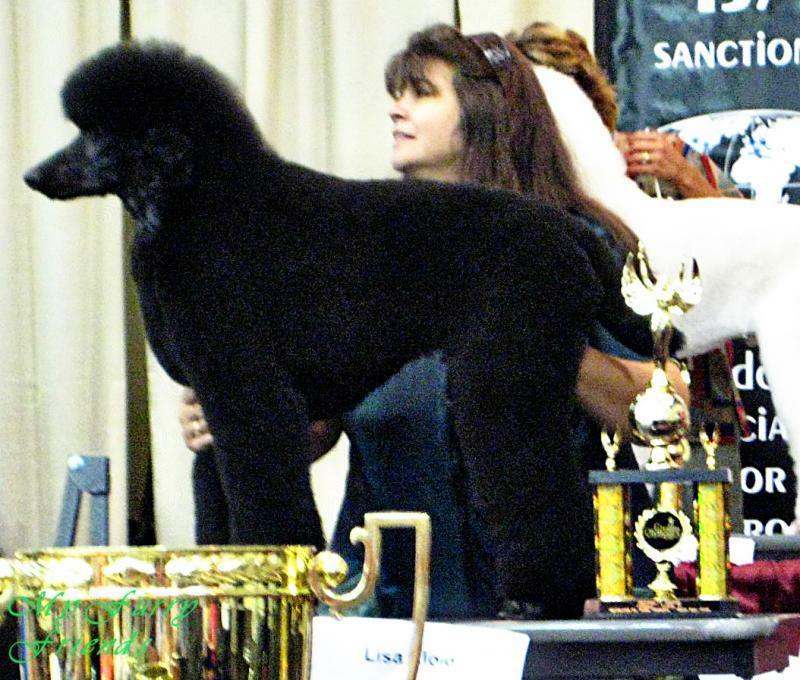 Lisa has also competed in Grooming Competitions and has won several awards. Lisa specializes in grooming puppies, elderly pets, and hard to handle pets. She also specializes in Hand Scissor work. You can view The story of "Precious" in our Photoshows. Jessica is Lisa's daughter, and has apprenticed under her mothers watchful eye. She started bathing the family dogs 15 years ago. Jessica is now a full time groomer. She has been doing full grooms for 11 years. In 2004 Jessica competed in her first grooming competition at the age of 13. Jessica also specializes in Hand Scissor work. Lisa and Jessica attend Educational Grooming Seminars every year to stay in touch with your pets needs. You can view Jessica's Grooming Career in our Photoshows. Lisa graduated from The Baltimore School of Dog Grooming in May of 1984. She has groomed for Veterinarians and has also been a Mobile Groomer. In October of 1987 Lisa opened her own Grooming Salon. She has been grooming for 33 years. Lisa has also competed in Grooming Competitions and has won several awards. Lisa specializes in grooming puppies, elderly pets, and hard to handle pets. She also specializes in Hand Scissor work. You can view The story of "Precious" in our Photoshows. Jessica is Lisa's daughter, and has apprenticed under her mothers watchful eye. She started bathing the family dogs 15 years ago. Jessica is now a full time groomer. She has been doing full grooms for 11 years. In 2004 Jessica competed in her first grooming competition at the age of 13. Jessica also specializes in Hand Scissor work. Lisa and Jessica attend Educational Grooming Seminars every year to stay in touch with your pets needs. You can view Jessica's Grooming Career in our Photoshows. Glen is Lisa's husband. They have been working together since 1988. Glen handles the phones, takes appointments, runs the Self Serve Pet Wash, keeps the shop in good repair and is available to help with bathing and holding difficult pets.